Note: The NKL17HF has been replaced by the NKU32HF. For information on the new model please click here. The NKL series are all based on our Hi-mobility AT chassis, incorporating 200mm soft ride castors and all round bump protection. There is a choice between the innovative Flexi Front with hideaway front cover and our Hard Front cabinet design. 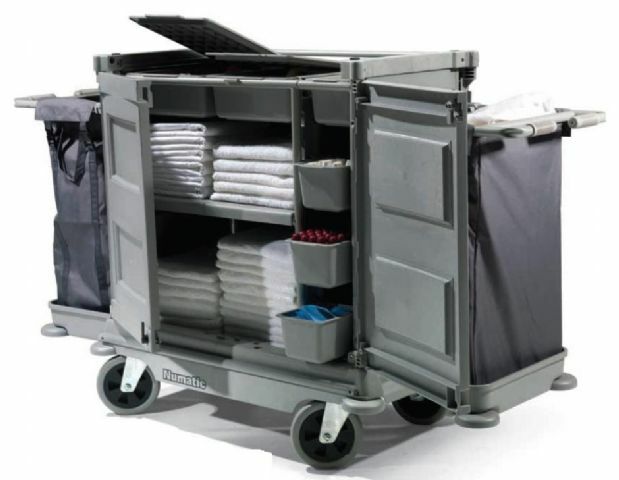 The NKL17HF includes double lockable front doors, hi-mobility soft ride chassis, 3 internal storage drawers and 2 x 100-litre laundry bag extensions.